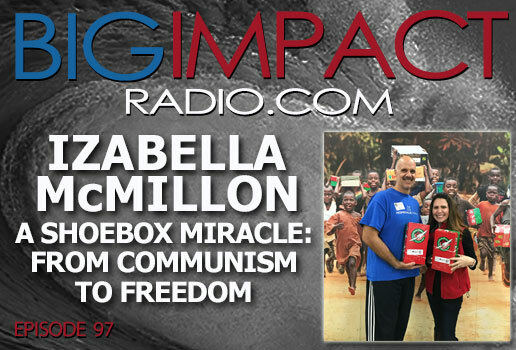 BIG IMPACT Podcast Ep 97 features the incredible, true story of Izabella McMillon. She grew up under the brutal dictatorship of Romania’s Nicolae Ceaușescu, fearing she might never know freedom. Then came the overthrow of the tyrant and the delivery of freedom…in a shoebox from Samaritan’s Purse. 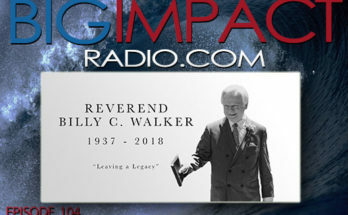 This stunning story was recorded in a most unusual “studio,” the Operation Christmas Child Processing Center outside Minneapolis, MN. The background noise is considerable as hundreds of volunteers were donating their time to help change lives around the world. Please don’t let the loudness of the setting dissuade you from soaking in this amazing story and sharing it with others. 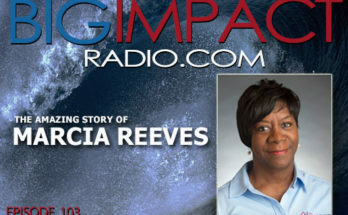 This is a story of hope, freedom, and faith unlike any you’ve heard before.